First off, I’d like to say THANK YOU to everyone who came out on November 10, 2018 for the High Island Workday. 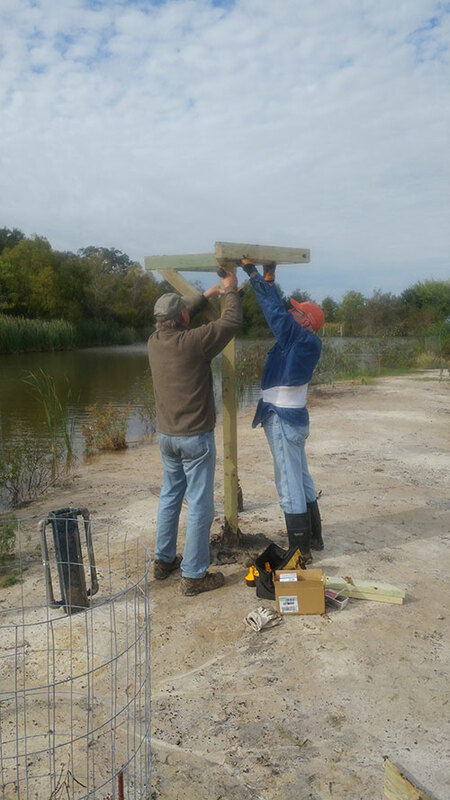 We cleared the fence line at Hooks Woods, thinned some of the Cherry Laurel, weeded several hundred potted prairie plants, and installed several nesting platforms on the island in Smith Pond. Our next volunteer workday will be this coming Saturday, December 8, 2018. There are several big projects in the mix that I’d like to accomplish so please come down and join us. 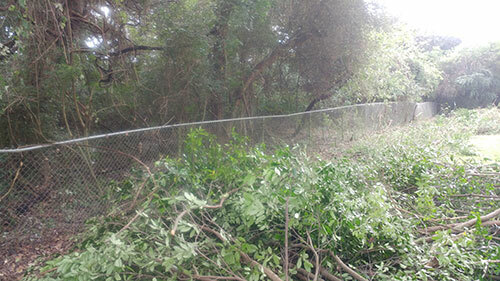 We’ll meet at the green maintenance building in Boy Scout Woods on 5th Street in High Island at 8:30am, work until 12 noon, and then enjoy lunch provided by Houston Audubon! Please sign up here so we can plan for lunch. We will provide the tools, drinking water, and gloves. We hope you’ll be able to join us!